Have you ever wanted to attend an event at The Barn AND support an amazing organization all at the same time?! Now's your chance! It's not often that you can attend an event at The Barn, so if you've always wanted to, come on out on Saturday, April 7! The 10th Annual Boots and Benefactors Banquet at The Barn will include a rider demo, a delicious chuckwagon dinner, a silent auction, and so much more. 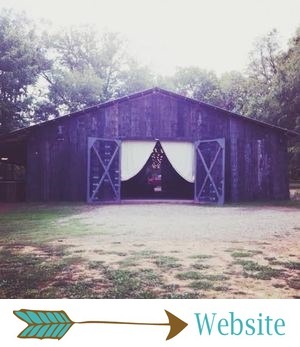 This is our third year to host Banquet at The Barn, and we're thrilled! You can get a glimpse into all the fun from the last two years here and here. Banquet at The Barn is a charity event for a deserving non-profit organization whose mission we love. Equestrian Zone: Riding For A Reason provides therapeutic riding and hippotherapy to individuals with disabilities, and we're so excited to partner with them again for a night of fun and fundraising! Here is what the folks at Equestrian Zone said about their 10th anniversary: "We are so proud to be hitting this milestone of our 10 year anniversary and knowing how many special needs children we are helping. Just last week, we had a mother tell us how she hasn't slept in 10 years, but after her son has been receiving equine assisted therapy at Equestrian Zone, she is now getting to sleep through the night because it is her son's first time to sleep through the night. Isn't it awesome to be a part of something that isn't just changing the child's life, but also helping the parents! We truly appreciate you all for this wonderful place to have our banquet to help these children have just a sliver of hope, for so many things that many of us take for granted. They are learning how to take their first steps, dress themselves and many other skills. What a blessing... thank you!" THIS is why we love teaming up with this organization... we are not only able to have a night of fun, but we also are helping to change the lives of many, many children in our area! Equestrian Zone: Riding For A Reason is a non-profit organization in Russellville, Arkansas, whose mission is “both to improve the lives of persons with special needs/disabilities and to facilitate functional independence with increased self-confidence and improved skills of daily living through the use of safe and enjoyable therapeutic equine-assisted activities,” according to Jodi Kusturin, Equestrian Zone's Executive Director and Physical Therapist. The organization serves both children and adults who have a wide range of physical, mental, cognitive and emotional disabilities. Anyone between the ages of 3 and 70 with a disability can apply to be a part of the program. Jodi said individuals with the following disabilities benefit from equine-assisted therapy: Amputees, Autism Spectrum Disorder, Attention Deficit Disorder, Blindness, Cerebral Palsy, Deafness/Hearing Impairment, Developmental Delay, Emotional Disabilities, Genetic Syndromes, Learning Disabilities, Multiple Sclerosis, Sensory Integration Disorders, Speech-Language Disorders, Spina Bifida, Spinal Cord Injury, Traumatic Brain Injury/Stroke, and Visual Impairment. Equestrian Zone provides two programs: Hippotherapy and Therapeutic Riding. Hippotherapy, which is derived from the Greek word for horse, is an “integrated treatment strategy lead by licensed health care professionals for physical therapy, occupational therapy, and speech therapy utilizing equine movements,” Jodi said. Therapeutic Riding is a variety of equine activities that put an emphasis on riding skills development. We love Equestrian Zone’s mission, and we are so excited to host such a great fundraiser event for them! As I mentioned, there will be so many great things to look forward to at this event! It will feature a gorgeous venue, a delicious chuckwagon dinner, a rider exhibition, dancing, a silent auction, and an unforgettable night of fun at The Barn at Twin Oaks Ranch! Tickets for the event are $40 prior to the event or $50 at the door. Tickets can be purchased on Equestrian Zone’s website or at Recovery Zone Pediatric Therapy. Put on your favorite glam Western wear and join us on April 7, from 5 to 9 pm, for a fabulous time that will benefit a worthy organization! For more information, check out the event’s Facebook page or Equestrian Zone’s website.